I'm super excited about the next few weeks because it is time for my annual holiday gifting series! You know what that means, right? Over the next few weeks, I'll be sharing reviews and giveaways of some of my favorite educational products that I recommend for your children. As a parent, I need help deciding on great gifts to give each holiday. I scour gift guides both online and in print. 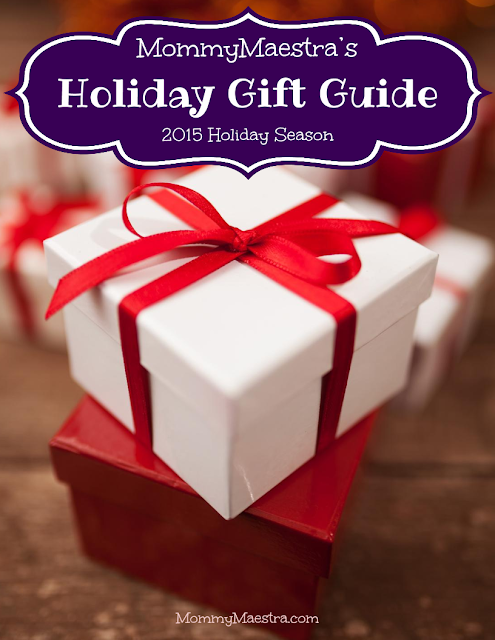 So today, I'm starting off by sharing my 2015 MommyMaestra Holiday Gift Guide! You can flip through it below. So the gift guide is here and FULL of educational (some bilingual!) goodies for children. From babies to teens, there is something in this gift guide for all the kids in your life. Just click on the links in the guide to learn more and purchase any of the items. When you click on the guide below, it will open up in a full-screen view. To exit, just type the escape button ("Esc") on your keyboard.